On this day, 242 years ago, our nation adopted it’s Declaration of Independence, telling England that we would be a sovereign nation forever more. During the run-up to the 4th of July, private individuals and loose affiliations of people began to purchase and store weapons fearing all-out war with England. Hearing that everyday men and women were arming themselves, the British commander sent troops to seize the weapons, sparking the battle of Concord which only accelerated the rush to the Revolutionary War. While that took place almost 250 years ago, we still have gun grabbers in this country seeking to put an end to private ownership of weapons that you and I use for self-defense. But thankfully, we still have people willing to take action to defend their right to defend themselves, too! That is our mission here at Iowa Gun Owners. And thanks to your support, Iowa Gun Owners is the leading state-based gun rights organization, leading the fight to defend and enhance our gun rights in Iowa. 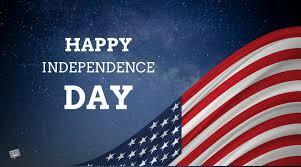 And to celebrate the freedoms that we enjoy, Iowa Gun Owners is running a membership special for the month of July. With every new membership or membership renewal purchased any time in the month of July, you will receive a FREE IGO T-Shirt and membership decal! These shirts are made from the highest quality and are printed right here in Iowa; in fact the company is located 20 feet from our offices in West Des Moines. They are a 65/35 poly/cotton blend and are the most comfortable shirt you’ll ever own! We have sizes ranging from adult small shirts all the way up to adult size 4X and they are in stock right now! To get your FREE T-Shirt and member decal, just join or renew your membership in Iowa Gun Owners today! We are running this special offer for the month of July, but by ordering now you can ensure faster shipping as we will run out of some sizes faster than others. Now with the war against the Second Amendment and gun owners at a fevered pitch, I hope that you’ll join the thousands of other members of Iowa Gun Owners and stand with us in defense of our 2nd Amendment rights in Iowa. To celebrate the 4th of July, Iowa Gun Owners is offering a FREE T-SHIRT and membership decal to anyone who joins or renews their membership during the month of July! These high quality shirts come in a wide range of sizes and are the most comfortable shirt you can imagine being a 65/35 poly/cotton blend. To get yours, simply join IGO today and make sure you indicate your size on our website. 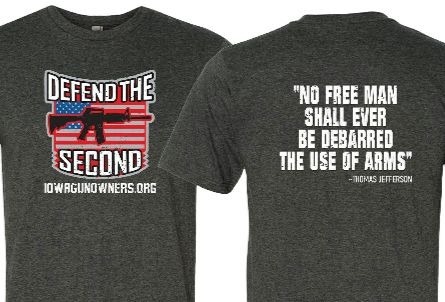 Stand With Us and Pick Up Free Second Amendment Gear!